Although many people remain convinced that patchouli is distilled from the body odor of unwashed hippies, it’s actually a plant from the mint family. Hiram Green Arbolé Arbolé is a good reminder of that fact. Although it stars patchouli, the fragrance is dry and camphorous, with the feel of a living plant in an arid wind. Arbolé Arbolé is named after a poem by García Lorca that begins, “Tree, tree / Dry and green.” That’s about as good a description of the fragrance you can pack into five words. Arbolé Arbolé’s notes include patchouli, cedar, sandalwood, vanilla and tonka bean. 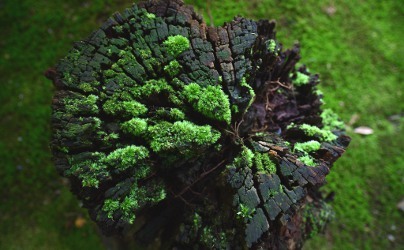 Like all of Hiram Green’s fragrances, it’s made exclusively of natural materials. The marketing blurb accompanying Arbolé Arbolé describes it as “ostensibly simple, yet subtly complex” (then goes on to some blah blah blah about romance and those who “dare to dream”). I tossed the blurb in the recycling pile, then pulled it out later for another read. On the face of it, Arbolé Arbolé is a light, yet rich, woody patchouli fragrance with a bare hint of sweetness. It seems to shimmer the same way amber does, but in a dry, menthol-tinted way — there’s that word again, “dry” — that keeps it from planting the seed of nausea that some patchouli-heavy fragrances can. It almost smells like the interior of an Eisenhower-era cigar box. Underneath this simple, calming exterior, Arbolé Arbolé is a shapeshifter. Sometimes I catch a hint of cinnamon or lavender, and at one point I was reminded of one of my new-old favorites, Ciro Danger. Then the fragrance would smooth back to its hypnotic dry woody patchouli. One more comparison: I've heard that patchouli became popular in the Victorian era when British travelers to India shipped back cashmere paisley shawls packed in wooden trunks with patchouli to keeps the moths out. Arbolé Arbolé smells like that. Arbolé Arbolé lasts all day on me and has present but quiet sillage. It’s firmly unisex. Patchouli lovers, you’ve got to try this one. If you’re on the fence, Hiram Green has made it easier by selling a 10 ml bottle. Patchouli-phobes, if you’ve made it this far in the review, see if you can score a sample of Arbolé Arbolé somewhere just to be sure it won’t change your mind. 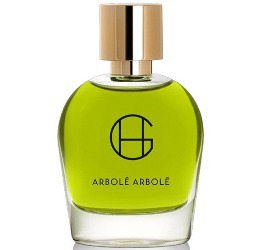 Hiram Green Arbolé Arbolé Eau de Parfum is $165 for 50 ml and $45 for 10 ml. For information on where to buy it, see the listing for Hiram Green under Perfume Houses. Note: top image is 切り株と苔 [cropped] by eiji ienaga at flickr; some rights reserved. Hi Angela! So totally different impressions of Arbole Arbole compared to what I smelled while having it on the skin. Quite shocking the difference is this big! I think it’s going to end up on a lot of “best of” lists this year! This one was love at first sniff. I smell so many facets, patchouli, soft mint, tonka, lavender and fruity olive, almost peach like. I know why, as a giant Atlascedar on my neighbour’s property had to be cut down, sadly. I received some small pieces of its wood, and it smells so beautiful, peachy olives! So I think part of what I love in Arbole is the natural cedar. It is one of my best buys this year, if not the best. I also really like it, and I’m especially happy to see there’s a 10 ml size. Fresh cedar! That sounds wonderful. I bought a 10ml decant of this blind and really like it. I am decidedly not a green scent person but this is nice and woody. I agree on the woodiness. It’s a nice scent in this cool weather. It was love at first sniff of a big “sample”. It was definitelh green up top and then it became earthy pretty quickly and smelled like a lighter sheerer version of Chypre Mousse. I smelled the equivalent of roasted chestnuts but no mushroom. The green color is amazing! Oh, I love the roasted chestnuts comparison! Your description makes me really want to try this. It sounds amazing! Also, now I really want a cashmere paisley shawl. It’s the weather for both of them where I live! You know, if you don’t like patchouli, you just plain don’t. Maybe it’s like beets. People who don’t like beets, don’t like them, no matter how deliciously they’re roasted and sprinkled with goat cheese. The 10 ml bottles are such a help! I think they’re good marketing, too. Someone who uses up a 10 ml bottle will likely buy a larger one, and they might not have wanted to take a chance on the larger one right away. Count me on the side of the patch lovers! My problem with patch fragrances has been that most perfumers use a fractionated (i.e. neutered) patch and I want the full bore, hippie patch of the 70s! So this sounds wonderful. Must try. Off to London for my usual December trip on Thursday – if I can swing by the stockist on Bulstrode Street I’ll give this a try. I met Hiram Green many years ago – he used to own/run a tiny shop behind Liberty, in one of the side streets off Carnaby Street. He was delightful & he stocked some truly wonderful little-known fragrances. I’m so curious about Hiram Green! I don’t know anything about him, but I’m glad to know he’s loved fragrance for a long time. Angela, the shops was called Scent Systems, & he was in partnership with Dr George Dodd creating fragrances. Dr Dodd at some point, though he’s no longer there, worked out of The Perfume Studio in Achnasheen in Ross-shire, Scotland, which still exists & produces fragrances, soaps, potions & lotions etc. Despite living in Aberdeen, Scotland, I must admit I have never managed to visit – I don’t drive, it’s difficult to get to using public transport, & it’s a long way to ask my husband for a lift to! It’s recommended by the Visit Scotland tourist authority & recently featured in our very popular BBC programme, Countryfile. Fascinating! Thank you for the background information. I hope you manage to find another perfume lover to drive out there with you someday. It sounds like a fun place. I love patchouli, and love green scents, and your description is tremendously enticing. But, unlike everybody else (as far as I can tell), I’ve disliked all the Hiram Green perfumes I’ve tried, so, unless I stumble across this locally (unlikely), I think I’ll pass on checking it out. Sounds smart, given your experience with Hiram Green already. But samples have an odd way of popping up when you least expect them, so if it does cross your path, do give it a try! Well, I did give it a try, and …wow!!! That’s amazing! So different from my experience! But scent is like that. At least there’s plenty of other perfume out there to be had…..
I’m so glad you love it! (Your comment sent me racing to find my sample, but I was waylaid by a sample of l’Attesa.) I like your description of the heliotrope and lavender.